Cpl. James D. Vaughan, son of Mr. and Mrs. Walter Vaughan, graduated from Frederick High School. 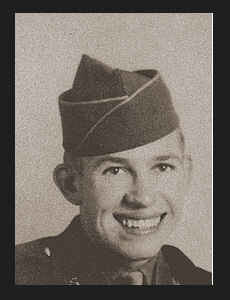 Entered Army in May, 1945, trained in Camp Livingston, La., Camp Pickett, Va., and Camp Shanks, N. Y.; is now enroute to Germany.